Want The Corrib Chart on your Android or iPhone ? Here is the latest version of the new Fishing Map. Both the Android and iPhone fishing maps are now available. If you are interested in a copy, drop me a line. 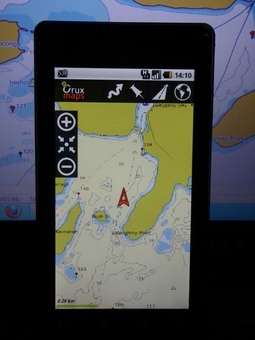 It has ALL the features of the marine chart, remember though, it is only going to be as accurate as your phone GPS. It should not be used for navigation. It should be perfect for fishing though!